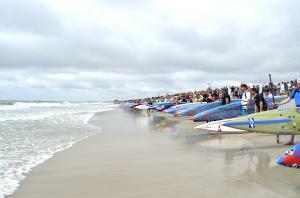 WRIGHTSVILLE BEACH, NC, USA, January 27, 2017 /EINPresswire.com/ -- Already one of the biggest and paramount paddle gatherings in the world, the West Marine Carolina Cup is expanding in 2017 with the addition of a one-day retailer-only trade show, a nine-mile outrigger canoe race with six-person teams, and a 6.5-mile junior championship standup paddleboard race for youth under 18. 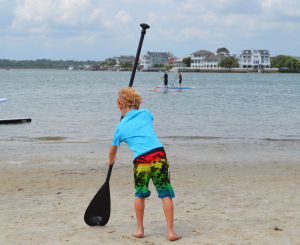 Organized by the Wrightsville Beach Paddle Club and sanctioned by the World Paddle Association, the West Marine Carolina Cup attracted most of the top professional paddlers in the world in 2016, as well as amateur and elite racers from practically every state in the nation. Almost 1,000 people participated in last year’s races and clinics. The Carolina Cup itinerary incorporates the renowned Graveyard Race, a demanding and grueling 13.2-mile ocean and flatwater race; the Money Island 6.5-mile Open Race; the Harbor Island 3.5-mile Recreational Race; and a very popular Kids Race for children 7 to 14. Competitors include Olympians, world-record holders, champions, professionals, amateurs, and first-time paddlers. 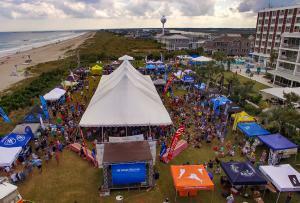 Presented by Surftech, the five-day West Marine Carolina Cup returns to Wrightsville Beach, North Carolina, April 19-23, 2017. All races, clinics, and demos will originate at host hotel Blockade Runner Beach Resort. Thursday, April 20, over 50 exhibitors will be open to retailers only, re-opening for retailers and the public on Friday, Saturday, and Sunday. The expo and demos are free of charge. Workshops on the agenda include one-on-one clinics, World Paddle Association certifications, paddling techniques, racing preparation, equipment selection, flatwater racing, ocean racing, surfski and kayak technique and racing, pre-race paddle tours of local waters, with more to be finalized in the coming weeks. Clinic instructors from Australia, New Zealand, France, Germany, Hawaii, California, and North Carolina include iconic professional paddlers Annabel Anderson, Connor Baxter, Candice Appleby, Michael Booth, Sonni Honscheid, Travis Grant, Titouan Puyo, Danny Ching, Dan Gavere, Jesse Lishchuk, Zane Schweitzer, April Zilg, and more. A portion of event funds will benefit the North Carolina Coastal Federation, a nonprofit organization with a mission to protect and restore water quality and critically important natural habitats of the North Carolina coast.